Welcome to In Good Company Etiquette Academy & Finishing School! We offer Social and Life Skills training programs for children and youth ages 5-20, as well as social clubs, parties and events. Manners are so much more than knowing what fork to use! Would it surprise you to know that 80% of people are dissatisfied with their jobs? The social landscape in our workplaces is changing. Who we work with, how we work, when we work, how we communicate, and what we perceive as effective, respectful, professional, ethical and kind has also changed. But many of us haven’t changed the way we think, the way we make decisions, or how we interact, and we’re not ready for change. In the new world of work you need a new set of social competencies- skills to help you build trust, to foster collaboration, to communicate effectively, to navigate differences, and to be change ready. “Self-transformation from the inside out is the key to success in life and in work“, this, according to Joanne Hoo. 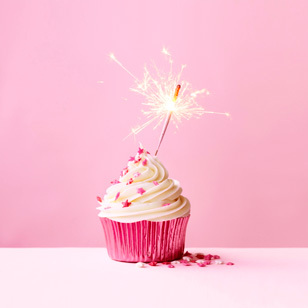 Joanne’s conviction that behavioural transformation leads to image transformation has enabled her to achieve recognition as one of the premier fashion and image consultants and impression management trainers in Malaysia. In addition to graduating from the prestigious La Salle International Fashion School in Montreal, Canada, Joanne was Production Manager in Audrey International (M) Berhad, a Malaysian public listed company specializing in Ladies Lingerie and Inner Garment. She is also the creator of Malaysia’s first and only children sleepwear brand called “Fun Active” where she designed the FAMILY series range from Toddler to Teens. She is an accredited AICI image consultant and has trained with several acclaimed image experts. Through her studies in Behavioural Change programs, and after having helped many clients transform their outward image and build their professional polish, Joanne has learned that it is essential that what you project outwardly is a true reflection of your inner character. This belief is the foundation for launching a new civility solutions training division to her company, How Civility Works. Her civility training offerings include workshops and presentations focused on character, confidence, social intelligence, courtesy and civility. Joanne recently became the authorized Civility at Work Train the Trainer Representative for the leading international civility training group Civility Experts Worldwide. She is a candidate for Civility Trainer status with International Civility Trainers’ Consortium and upon graduation will be one of only eight Master Civility Trainers in the world. Watch for Joanne’s new book, Transformation from the Inside Out- anticipated release Fall 2016. The training offered at In Good Company helps build character, confidence and courtesy. We don’t just teach the correct behavior, we explain “why” good behavior is necessary—and the consequences of bad manners. Etiquette classes offer learning strategies for coping with change and ensure your child’s social success. Please contact Joanne +6012 2094248, or email to joanne@howcivilityworks.com to reserve your seat today. To get in touch with us directly, please email joanne@howcivilityworks.com. 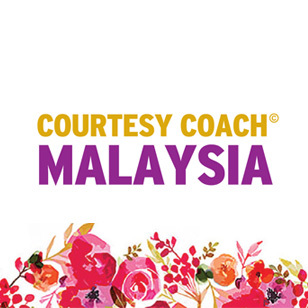 In Good Company Malaysia is a Licensee of In Good Company Etiquette Academy & Finishing School® License Group which is owned by Civility Experts Worldwide. All rights reserved. No content on this page may be copied or used without permission from the Copyright Holder. Contact info@ingoodcompanyetiquette.com.